You can earn 35 Referral Credit on this product! Happy New Year to you! I *love* *love* *love* my new laptop- it does all you said it would. and more. It's amazing. Ray S.
difference between this new one and my 8600, which is currently my "hottest"
hopefully, I remembered them accurately. 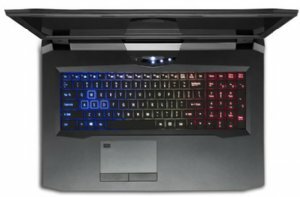 like this, but I basically cannot do a lick of work without my computer. - 1st for WLAN Combo M.2 2230 Card with PCIe and USB interface. 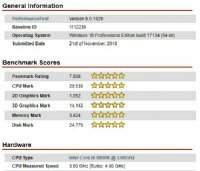 When Intel announced its new Skylake-S CPU platform with the two desktop processors Core i7-6700K and Core i5-6600K. 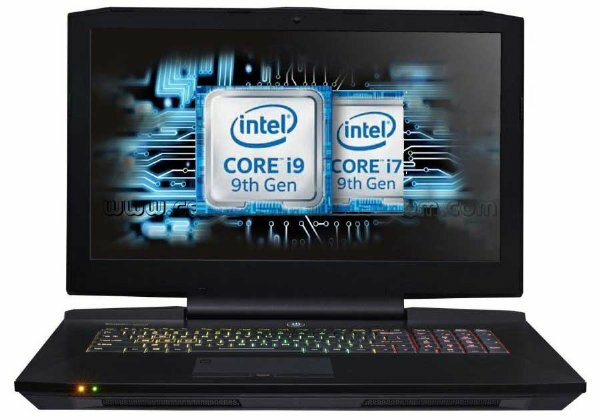 M-Tech Laptops also updated its D9 series D9QFHD and added a new laptop to its product line, D8700 for the new processors, which includes, among others, the series D9QFHD, as well as the G-Sync-series D9QFHD-G. 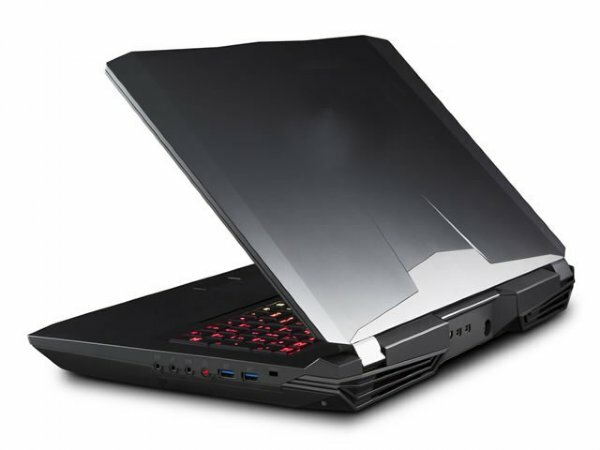 According to M-Tech Laptops R&D, the cases are supposed to be less sensitive for fingerprints. 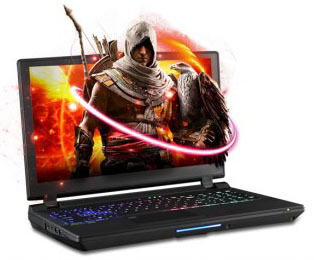 The new generation of extreme gaming notebooks will also bring DDR4 RAM instead of DDR3L, more RAID options, an optimized touchpad including click buttons with the "Scissor-X" structure and as a highlight, one USB Type-C port that supports USB 3.1. 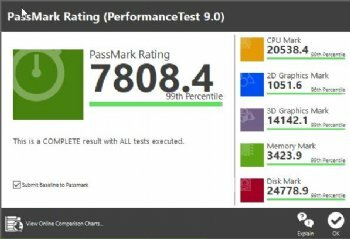 Highlight: The USB 3.1 Type-C port of the M-Tech Laptops notebooks already supports the 3rd generation of Thunderbolt known as Thunderbolt 3, but it is currently certified by Intel. 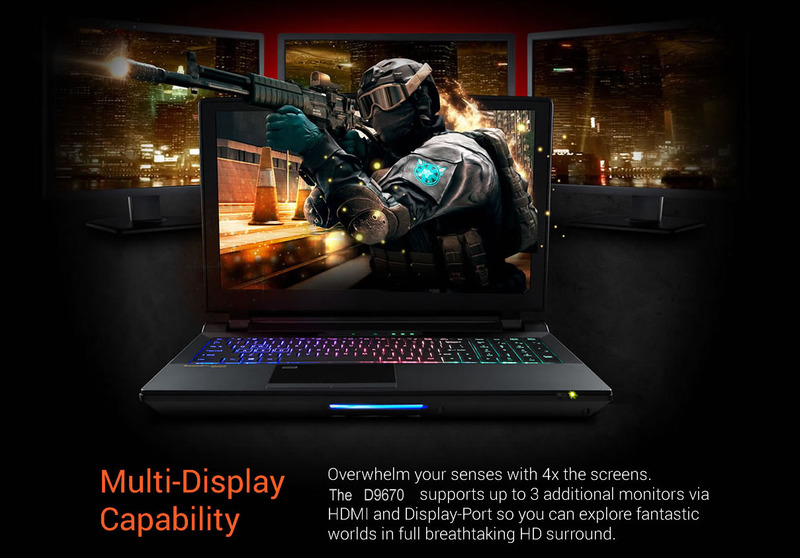 Other interesting options include the display, because the D9QFHD-series will also be available with a 4K/2K display. Rich sound will be provided by the optional Creative Sound Blaster X-Fi MB5 with a new gaming UI, more equalizer functions and calibrated speakers. The integrated SD 4.0 card reader is compatible with SDXC cards up to UHS-II (312 MB/s) and capacities of up to 2 TB. The revised M-Tech Laptops D9QFHD is still available with matte display panels from (FHD), (QFHD) and (FHD). The D9QFHD with a very high color accuracy and a large color space coverage (94 % RGB). M-Tech Laptops also optimized the new G-Sync models with an improved sync of the GPU and display (less tearing, stutters and lags). 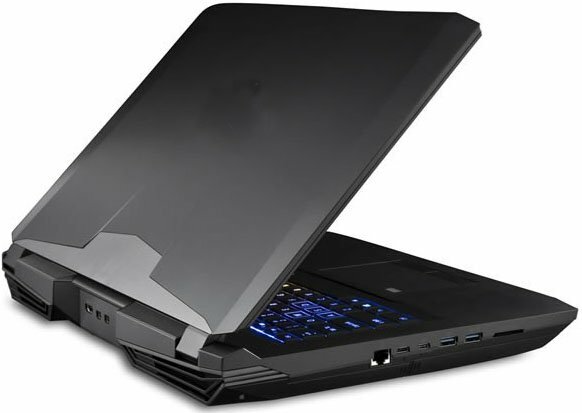 And what about the performance of the new mobile workstation/gaming notebooks? 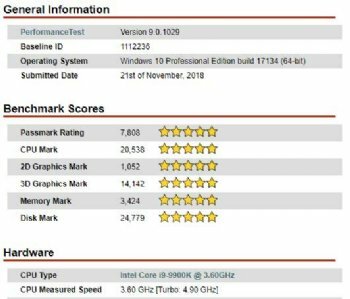 Internal documents from M-Tech Laptops report a bigger overclocking potential for the new Skylake-S processors. 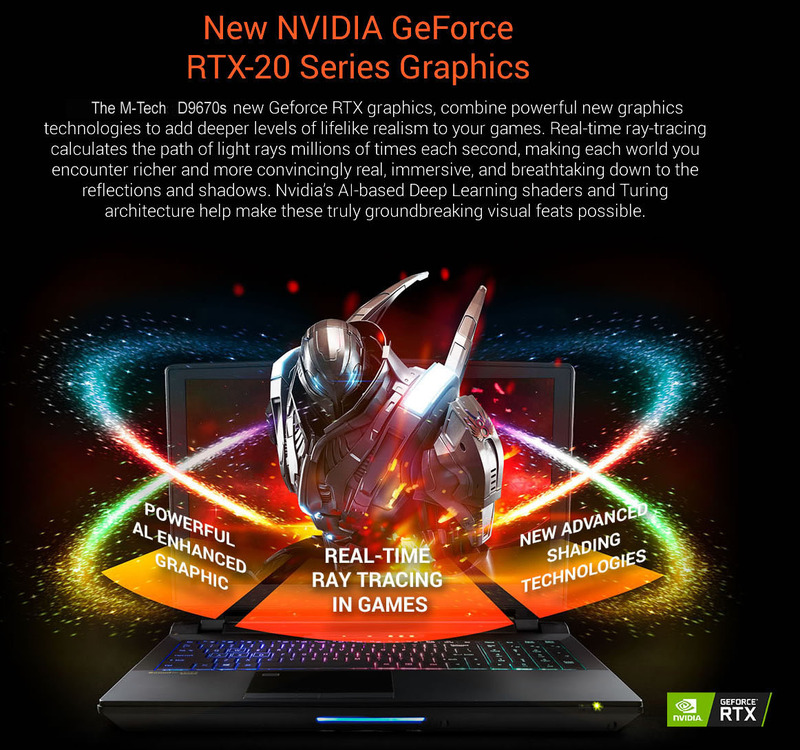 M-Tech Laptops specifically mentions an OC advantage of almost 7 percent in 3DMark11 Physics (XTU enabled) for the D9QFHD with an Intel Core i7-6700K and GeForce GTX 970M compared to older generation phased out D9FHD with Intel Core i7-4790K and GeForce GTX 980M. 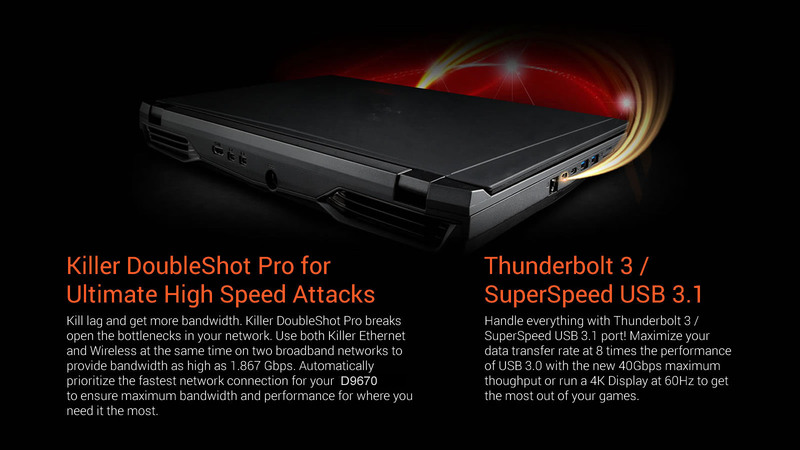 M-Tech Laptops also speaks about an advantage of up to 42 % in respect to the memory bandwidth thanks to DDR4. May we also suggest the following models. They are based on your needs or price point. Ignore the message saying base model is out of stock. That is a standard cart message that does not apply. Come back soon, we will have an entire page for your working professionals.